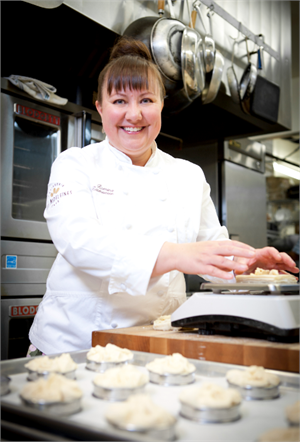 Romina Rasmussen, of Les Madeleines downtown, will be doing a live cooking demonstration at the Utah Home Show on October 13th. She will demonstrate how to make pumpkin spice syrup, pumpkin bread, and pumpkin creme brûlée. And the best part is that you’ll be able to sample her creations at the end of the demo. The demo is free, but keep in mind you’ll need to buy tickets to the Home Show.